"Silver Bells" is one of my favorite Christmas songs. I love old fashioned holiday music; it always evokes so many memories. When I was growing up, my parents had lots of Christmas albums, and getting them out each year to listen always put me in the mood for the holidays. This is one of those songs that I always loved. I've always thought of it as such a quintessential Mid-Century Christmas song. In the air there's a feeling of Christmas"
"Silver Bells" was written by Jay Livingston and Ray Evans. It was originally called "Tinkle Bells" until Ray Evans played the song for his wife, who reminded him of the childhood use of the word "tinkle." The title was quickly changed to "silver." 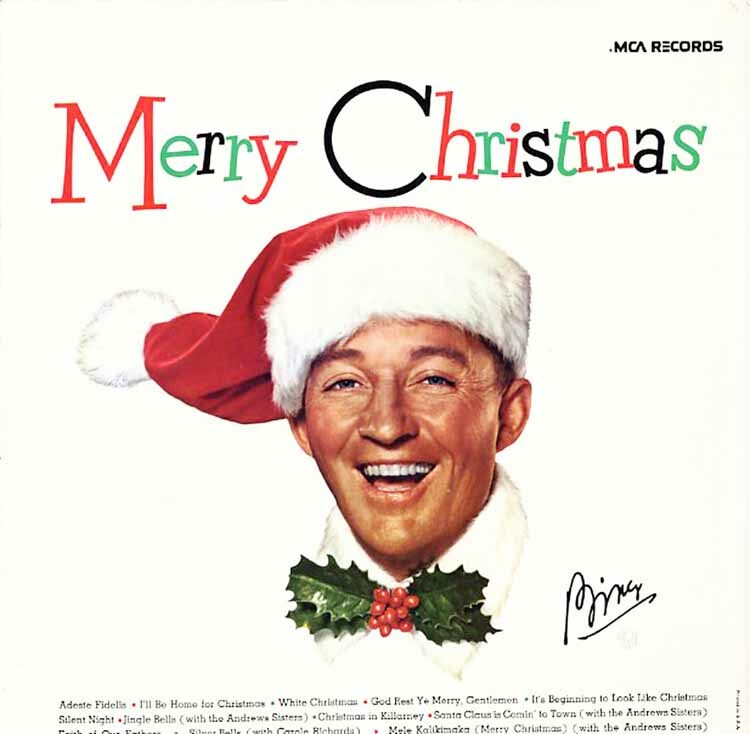 The most famous version of the song was recorded by Bing Crosby and Carol Richards on Decca Records in 1950. Carol Richards was a singer who also dubbed songs for actresses in several movies, including Vera Ellen (Call Me Madam) and Cyd Charisse (Brigadoon, Silk Stockings). Bing Crosby's voice always just reminds me of Christmas -- he is so associated with the holiday because of his wonderful Christmas songs. Do you have any special memories of this song? What are some of your favorite Christmas songs? I'd love to hear from you in the comments, below. Interesting to read the history of "Silver Bells." One year, back in the early 60's when I was a young piano student, "Silver Bells" was the special, seasonal piece I was given to learn for Christmas. No problem getting me to practice that year! I loved the song and it has been a favorite ever since. Susan, how neat that this was one of your piano recital songs. That is a great memory.